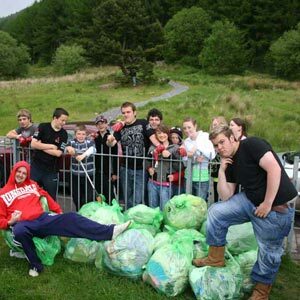 Over our 35 year long journey we have earned the trust and respect of the children, young people and adults in the local community who justify the investment of Valleys Kids by their enthusiastic commitment loyalty and personal achievements. These videos show innovation in action. We have diverse funding streams relying on the generosity of individual donors along with local, national and international funding partners including: Local Authority, Welsh Government, Trusts, Corporate sponsors, Arts Council of Wales and European Funding. Valleys Kids employ 50 staff who are highly qualified, experienced and passionate about the work of Valleys Kids. We are proud of the fact that over 30% of our staff began as participants or volunteers in our sessions. They include: Youth Workers, Play Workers, Community Development staff, Health Workers, Arts Workers. Details on our Contact Us page. Please click here to check if there are any jobs available. Volunteers are the life-blood of Valleys Kids. We have the support of a committed team of over 100 volunteers who grow and develop with the organisation, giving their time on a regular basis to help run our sessions. We are proud that over 30% of our staff are grown from local volunteers. Partnership working is key to our success. We work closely with groups in our local communities, with statutory & voluntary agencies, our Local Authority. We collaborate nationally and internationally on projects that bring local benefits. We are delivery partners for Community Enterprise Network based in The Factory in Porth. A locally based initiative for ages 16+, where you can talk and share ideas about shaping your future, using what you are good at or feel passionately about.